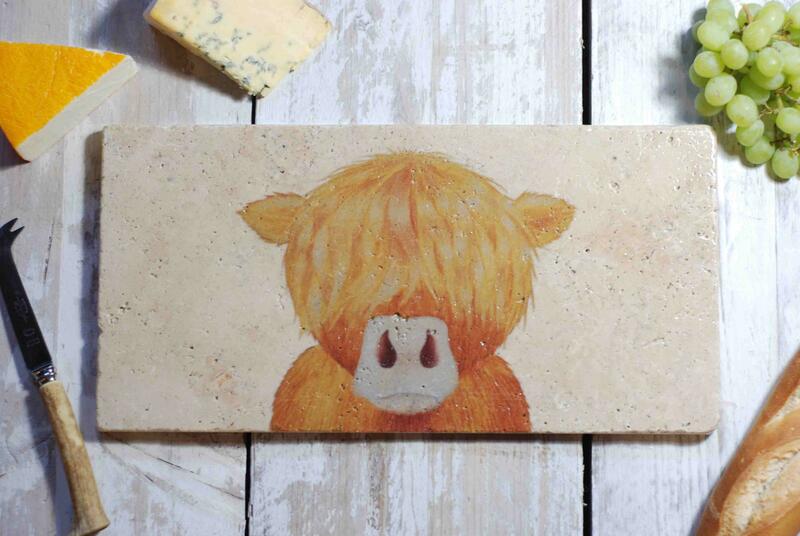 These Handcrafted Stone Pot Stands, featuring the Baby Highland Moo, are ideal to use as a work top saver, varnished and heat proof it's perfect for those hot casserole dishes and can also be used as place mats or just to cheer up your dining room table! 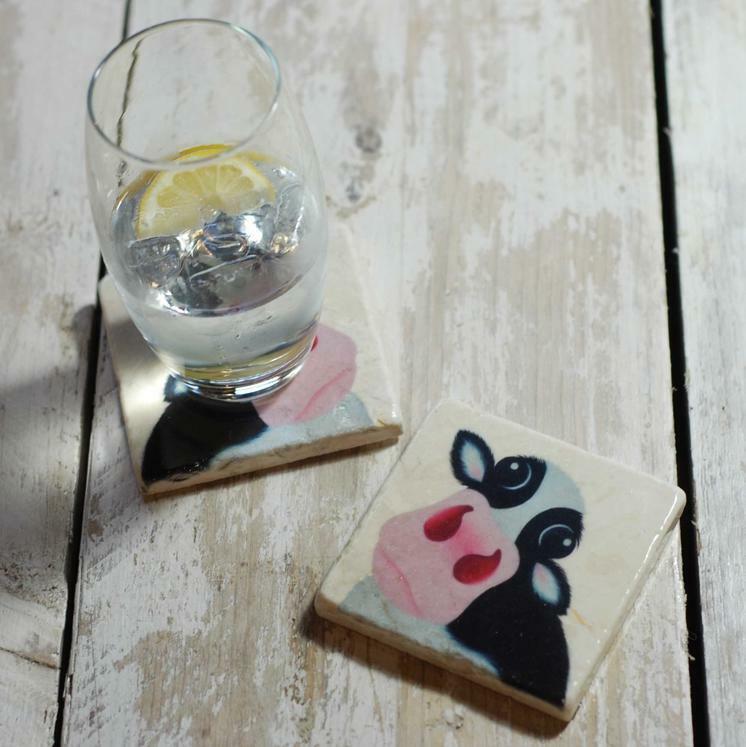 They have plastic feet on the bottom to protect your table/ worktop and can be wiped clean but please don't pop it in the dishwasher. 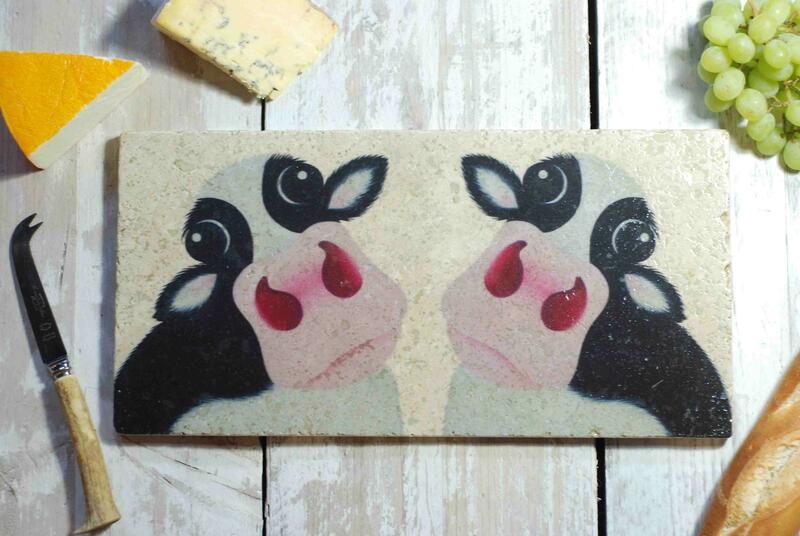 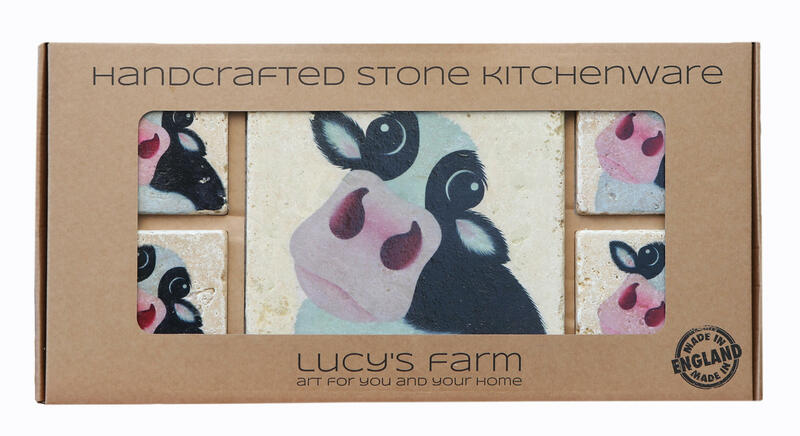 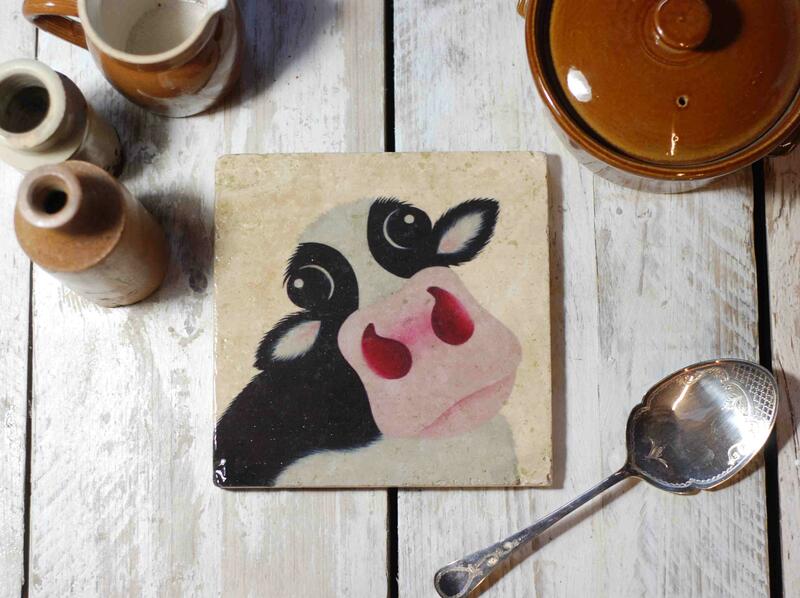 For those who love cows, farming or country living, this gift is perfect for all occasions including Birthdays, Mother's Day, Father's Day or as a Christmas present. 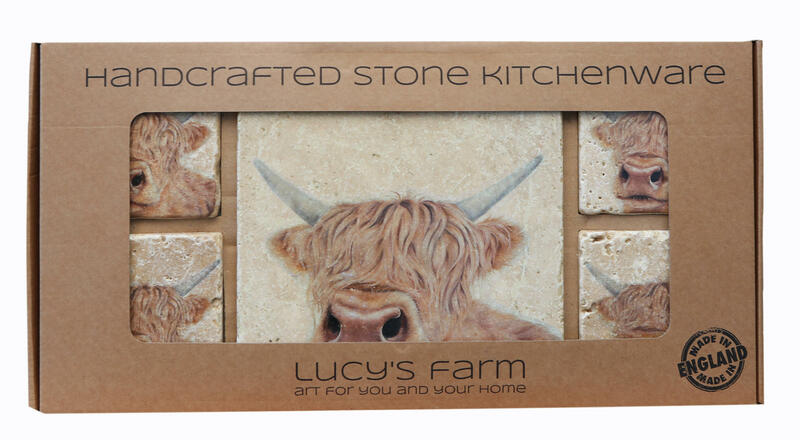 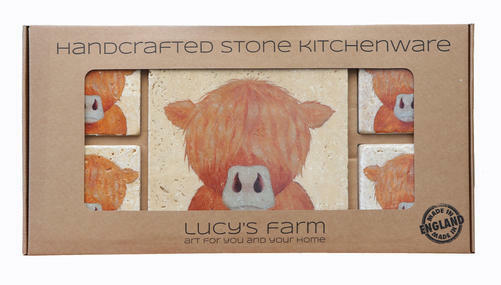 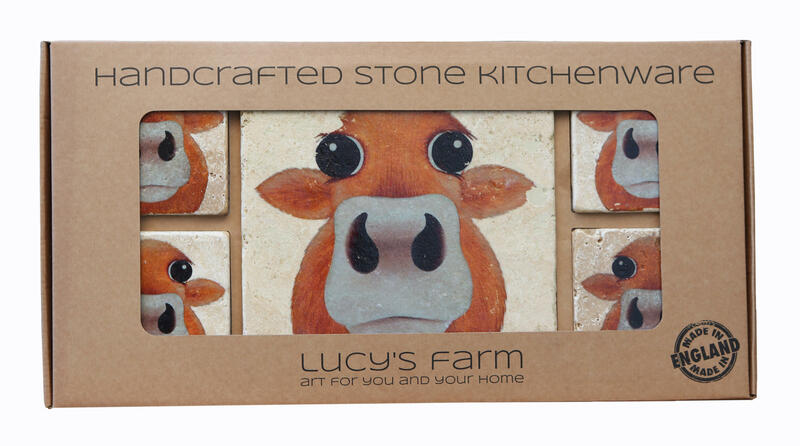 Baby Highland Moo is from an original painting by Lucy printed on Travertine stone which is prepared and varnished by hand before being boxed in Dorset, England. 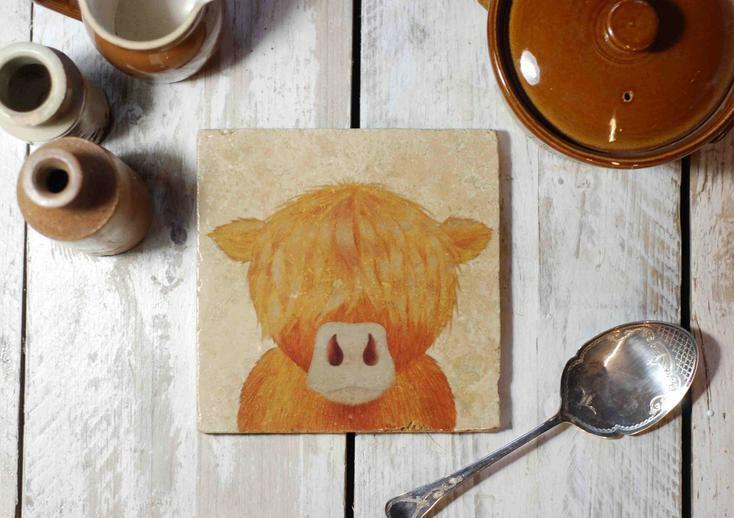 Don't worry, we'll have our Baby Highland Moo Pot Stand back in stock very soon. 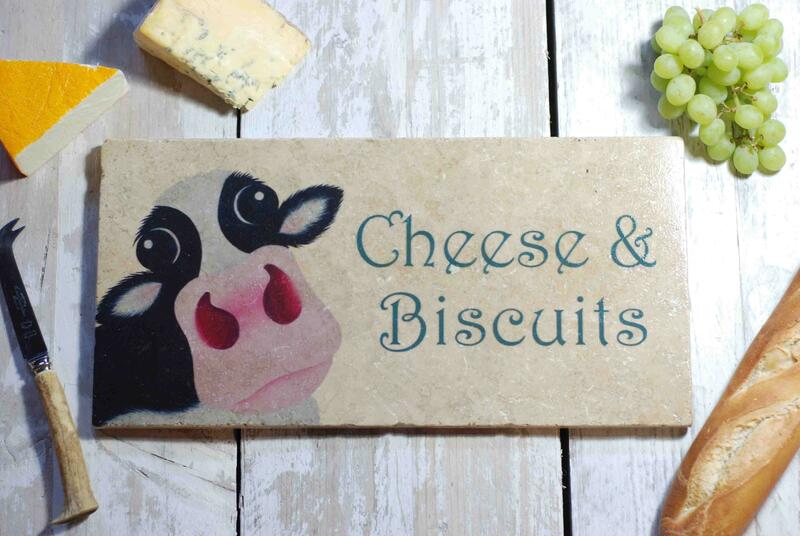 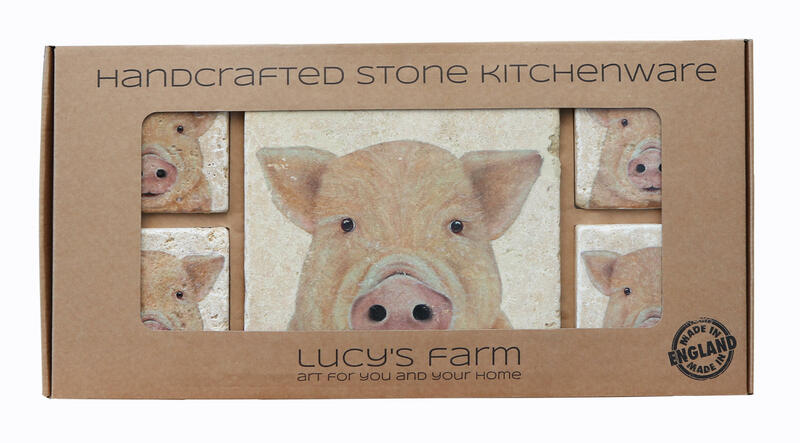 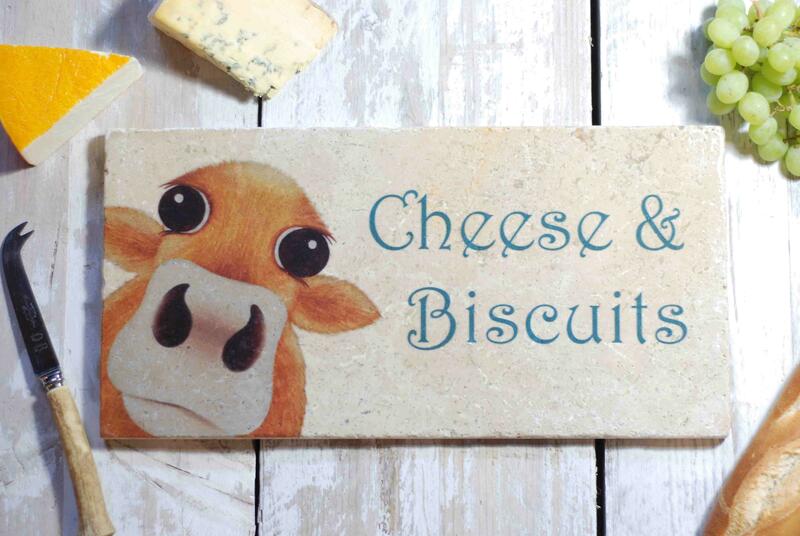 You can see our full range of Handcrafted Stone Kitchenware below including Coasters, Pot Stands/Mats, Gift Sets and our other Cheeseboard/Platter designs or click here to order.